With the possible exception of ancient Egypt, the theme of Ireland and Irish culture is the most popular one to be covered by Poker games. Maybe it’s players hoping for the luck of the Irish to bless them with big wins, or maybe it’s just the jolly leprechauns who seem to pop up across these pokies, there’s a huge range to choose from. Among the most successful is Isle O’ Plenty that comes from the IGT company and sticks with convention by having images like pots of gold and of course, a leprechaun on the reels. But that’s not all, as it also comes with wild substitutions for extra winning spins, scatter payouts and a free spins round where the leprechaun can grant wishes, including extra wilds and a MegaJackpots prize that can be well over $1 million. Players won’t be surprised to see green being the dominant colour here, with a picture of a green and white lighthouse peeking out from behind the reels, along with patches of lucky clover, standing stones, and there’s even a rainbow to complete the clichéd scene. The 5 reels are surrounded in a Celtic-style frame and the control panel sits underneath it all. This is where players set their wagers from the minimum of 0.60 to a maximum of 60,.00, although it’s worth noting that the odds of claiming the MegaJackpots progressive prize are improved at higher stakes. All the symbols are in some way related to the theme, although the links can be vague to say the least, with some flowers, a bowl of strawberries, a golden swan and a fish making up the lesser-value winning lines. A decorative book, Celtic-looking tree and the seemingly obligatory pot of gold are worth progressively more, topped off by our happy leprechaun who is worth up to 1000 coins for a full line of 5 across the reels. Prizes are paid out when 3, 4 or 5 of the same symbol land across a line on adjacent reels running from the left side, but there’s a couple of additional symbols that will interrupt the normal run of play with some particularly nice extra features. 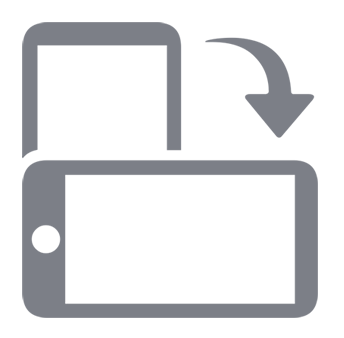 Although it will only appear on reels 2 to 5 and has no value of its own, the Wild symbol will contribute to winning lines by acting as any standard icon. This way, it can either fill in the blank spaces or extend lines of 3 or 4 matching symbols across the reels for a bigger prize, while the Wild Rush feature sees it expanding to reel positions below, potentially filling a whole reel for multiple winning combinations at once. It won’t substitute for the Bonus symbol however, as this picture of a lighthouse shining rainbow colours from its windows, will trigger free spins when it stops on the middle reel. Just 2 bonus symbols are needed to get 6 free spins, while seeing 3 of them will launch 12 spins and if all the middle reel is filled with 4 bonus lighthouses, players will then be awarded with 24 extra games. These can be retriggered by more bonus symbols from within the round, up to a potential maximum of 240 free games, but no matter how many are awarded, the leprechaun will add at least 1 wild symbol, or potentially a MegaJackpots symbol to the top of the reels in each spin. There’s a couple of different ways to scoop the MegaJackpot progressive prize, each of which pays out instantly. If the whole of the middle reel is filled with 4 MegaJackpot symbols, either in the base game or during the free spins, the prize is won, but there’s also a Second Chance option where a virtual behind the scenes draw takes place. Playing with higher stakes improves the likelihood of winning through the Second Chance. 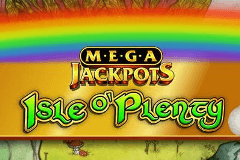 Packed with extra features, Isle O’ Plenty is a high-quality game that should be a welcome addition to the multitude of pokies that cover pretty much the same topic. While some players may be put off by the fact that there are so many similar titles, they shouldn’t dismiss this one, as the bonuses can be quite rewarding, particularly of course, if that massive MegaJackpots prize is struck. But that’s not going to happen every day of the week, so players will hopefully find that the standard gameplay is still good, although a couple of small issues crop up in this particular pokie. The notable one is the 40 fixed paylines that excludes anyone who likes to make tiny wagers just to spin the reels for fun, and secondly is the jaunty soundtrack that goes with it, but at least that can be turned off.